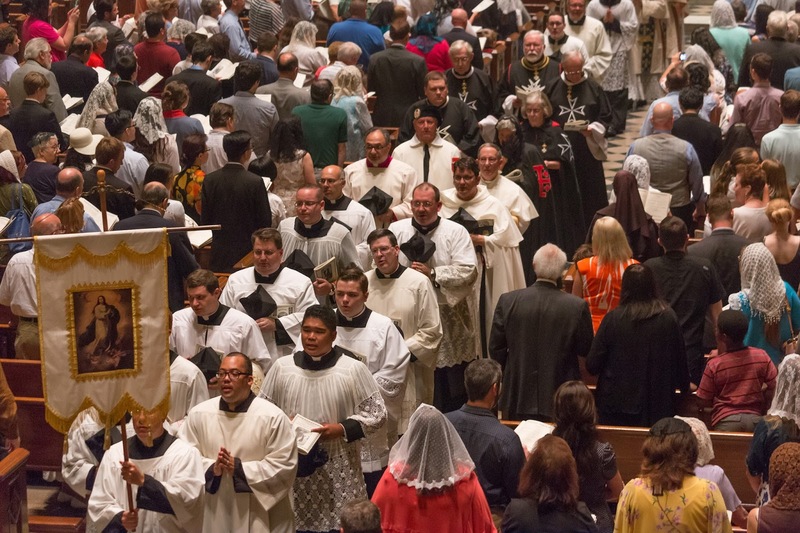 Mater Ecclesiae Roman Catholic Church will celebrate its 17th annual Mass of Thanksgiving for the feast of the Assumption on Tuesday, August 15, 7:00 pm at the Cathedral Basilica of Saints Peter and Paul, located at 18th and Benjamin Franklin Parkway, in Philadelphia, Pennsylvania. The Reverend Robert C. Pasley, KCHS, Rector of Mater Ecclesiae, will be the celebrant and the Reverend Dennis Carbonaro, Spiritual Director of the College Division of Saint Charles Borromeo Seminary, will preach. The Solemn Tridentine Mass will once again feature the Ars Laudis Festival Chorus and Orchestra. Our cantor, Mr. Nicholas Beck, a graduate of Westminster Choir College, will direct the singing of the Gregorian Propers. Dr Timothy McDonnell, Director of Sacred Music at the Catholic University of America, Washington, D.C., will be the conductor for this Mass. The Ordinary will be Franz Schubert’s Mass in B-flat. The Offertory motet will be Quis te comprehendat by Mozart; the Ave Verum Corpus of William Byrd, Tota Pulchra Es by Timothy McDonnell, and the Ave Maria by Palestrina will be sung during Holy Communion. 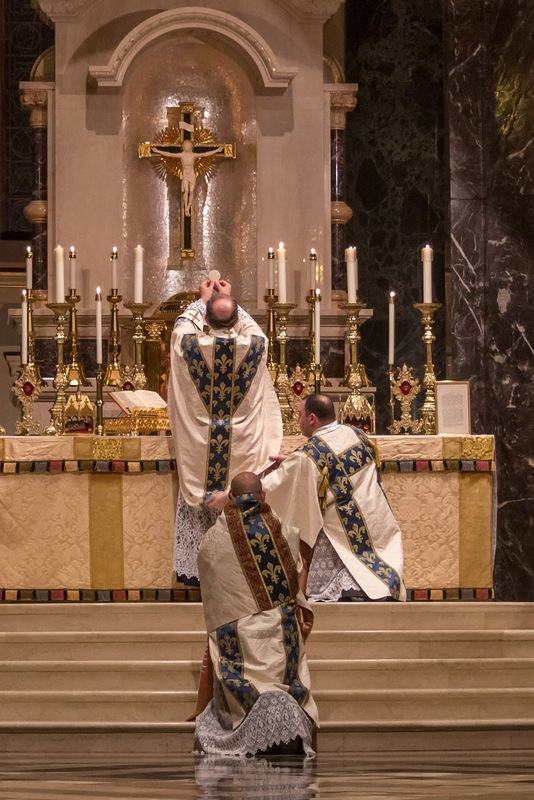 This Mass is sponsored by Mater Ecclesiae, a full Extraordinary Form, diocesan staffed Mission of the Diocese of Camden, New Jersey. The first solemn Assumption Mass was celebrated at Camden’s Immaculate Conception Cathedral in the 2001; the church was too small to handle the crowds, and so it was moved to the beautiful church of Saint Peter in Merchanville, New Jersey. The tenth Assumption Mass was celebrated at Saint Peter Church’s in Philadelphia, the burial place and shrine of St John Neumann. For the last four years, due to the kindness of the rector, Father G. Dennis Gill, and the generous permission of His Excellency, Archbishop Charles Chaput, the Assumption Mass has been celebrated at the Cathedral Basilica of Saints Peter and Paul, Philadelphia. It has become a great tradition and festival in honor Our Lady and solemn worship of God in truth, goodness, and sublime beauty. You are most welcome!